This health condition often affects women, but it has also been observed among men and children. The symptoms are numerous and need to be assessed before any treatment can be given. The major symptoms include muscle pain in different parts of the body. This is accompanied by aching joints and tenderness of some muscles. Another common indication is that the aches move from one body part to another. Much of the pain though, is focused on the neck area. Among other patients the aches are concentrated on the arms, chest or legs. The condition itself may last for years. However the pain intensity varies; on some days it can be very intense; on others, it may be just a minor ache. Frequent headaches, diarrhea and sore throat are experienced. Some people report a tingling or numbing sensation in their muscles. Even with an early diagnosis, pinpointing this ailment as the culprit is hard. The reason is that the symptoms are so common. 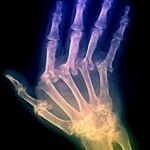 If the patient has other ailments like arthritis, diagnosis becomes harder. The best way to determine if the ailment has set in is to check the trigger points. These are 18 body parts that are known to be affected by the disease. If at least 11 are affected, it can be said that the disease is present. These trigger points include the neck, elbow and hip. The backbone, back of the knee and shoulder are also included. The patient’s medical history will be evaluated. It’s important that the doctor knows if other family members have this condition too. Studies indicate that it may be genetic in origin. There is no cure for this disease. If the pain becomes severe, some painkillers may be prescribed. As the condition lasts for years, coping with it has become the focus of treatments. This includes applying hot or cold packs on the affected areas. Moderate exercise may also help. The routines will depend on what the physician prescribes. Most of the time, stretching will be part of it. This assists the body in becoming more flexible. Aerobics will also be recommended. The exercise should not be too vigorous especially if there is pain in the joints. Alternative treatments include Chinese acupuncture and homeopathy. Others ascribe to botanical medicine and taking herbs. The cause is unknown, so prevention is difficult to prescribe. Nevertheless, maintaining a balanced diet may be key. A good diet should include plenty of fruits and green, leafy vegetables. These are very important as they provide sustenance for muscles. By keeping oneself physically active, the muscles will get stronger and more resistant to pain. Adequate rest is also critical. This needs to be balanced with any activities you do. It’s also suggested that intake of caffeine be reduced. The doctor might also recommend stopping or reducing any anti-depressants being taken. A regular visit to a rheumatologist is recommended. 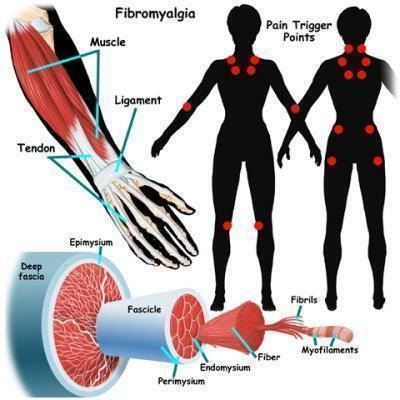 Even though there is no cure for fibromyalgia, there is medication available. Together with exercise, the pain can become more controllable.